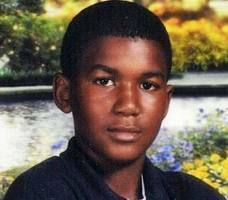 Trayvon Martin. 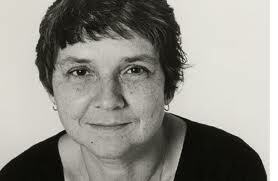 Adrienne Rich. Shaima al Awadi. I’m taking these names with me into the Christian Holy Week that begins this Sunday. I suspect that the first two names are far more familiar than the third. So here I offer some observations about all three and then why they help me to engage with Holy Week for the sake of profound social change. White supremacy is a deep poison in U.S. history and culture. It won’t be extracted but by sustained force of will, honesty, and deep conversion. A standard-issue human being is white and male. Everyone else needs a label. Until that stops, justice will be elusive and human flourishing will languish. So, you haven’t heard about this case? I hadn’t either until it leeched into my FaceBook feed nearly unnoticed (read some more here). Then I did some digging. 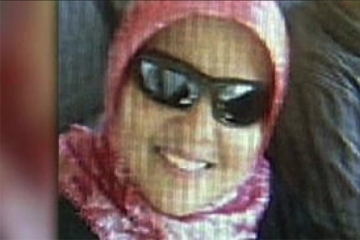 Shaima al Awadi actually worked for the U.S. Army, translating, helping, consulting about Islamic culture. Where is the news media on this story? Where is our collective FaceBook outrage? Do we hear or see virtually nothing about this because she was a woman and also not an “American”? Probably. Sit at the intersection of white supremacy and male privilege and all this makes horribly twisted sense. Shaima was beaten, apparently, with something like a tire iron. And she died from those injuries. How can any of us stand this? How can we go on living in such a xenophobic society, such a white supremacist, such a patriarchal society? Of course, those are just three names, three human beings, among countless others few if any of us will ever know who endure the ravages of white male privilege every day. I can’t possibly try to “solve” all this. Who could? But here I’ll offer some brief reflections about why I find all of this important as I enter into Holy Week. I pray that this will inspire fresh ideas for action. Christians will remember in this holiest of Christian weeks that Jesus faced a critical choice, quite literally a choice of life and death. He belonged to a rich and vibrant religious tradition that offered a number of options for his mission. He could have, for example, chosen the path of a Levitical warrior to liberate his people by force from Roman occupation. I say “Levitical” warrior because the culture of tribal warfare from which that biblical book arose was constructed on an economics of masculinity in which topping one’s enemies – with violence, if necessary – demonstrated covenantal faithfulness. But Jesus chose instead to follow the path articulated by the Hebrew prophet Isaiah. In that book, the Levitical warrior becomes the “suffering servant,” and rather than topping one’s enemies, that servant leads all the nations instead to God’s holy mountain where they learn war no more and beat their swords into ploughshares (Isaiah 2:4). In the gospel according to John, that choice is described as nothing less than the glory of God. Resisting the violence of imperial (read “white”) male privilege and choosing instead a deep solidarity with all those who are oppressed by such violence is, for John, the quintessential revelation of divine splendor. In the light of that glory, recommitting ourselves to ending white male privilege is a recommitment to saving this planet from the ravages of imperial patriarchy. How could that not mark a week that Christians insist is “holy”? I should surely hope that Christians the world over would find that kind of path as marking our way toward Easter. Yes, the Alawadi case IS the “possibility” of a hate crime, and quite possibly something else. Most sources are now reporting it as a possible family Honour Killing.